The organization fights transparency at every turn, and now many wonder where its money comes from. As the National Rifle Association gathers for its annual convention in Dallas, questions loom about the organization’s relationship with Russian donors, and whether any Russian money went towards the NRA’s multimillion dollar efforts to support the Trump campaign. In the 2016 election cycle, the NRA’s Institute for Legislative Action — its dark money affiliate — reported spending over $35 million on election-related activities (more than any other dark money group) without the reporting the source of its funds. Curiously, the ILA leapfrogged its way to the top of that list, after spending a mere $13 million the previous cycle and $9 million the cycle before that. We can only wonder where the influx of funds is coming from. The NRA has, meanwhile, reportedly been subject to an FBI investigation concerning its Russian donors. (A spokesman for the organization stated that they have not been contacted by the FBI.) However, the NRA has had to revise its story on the matter of its Russian donors more than once. The NRA has had to revise its story on matter of its Russian donors more than once. Ironically, if money in politics was fully disclosed, then there would be little need for further inquiry. But years of Federal Election Commission dysfunction, congressional inaction and advocacy against campaign finance reform by groups like the NRA have left the law in shambles. 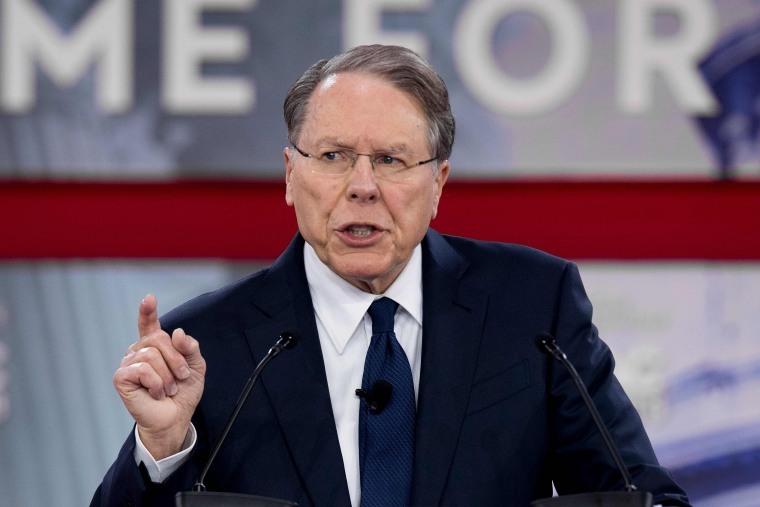 Years of Federal Election Commission dysfunction, congressional inaction and advocacy against campaign finance reform by groups like the NRA have left the law in shambles. Federal law broadly prohibits foreigners from funding advertisements or other activities “in connection with” an election. But the NRA, and some commissioners on the FEC, have often taken an extreme view of what is election-related and what is not. Twice, for example, FEC commissioners decided that a major dark money organization did not have to register as a PAC and disclose its donors in part, because they judged that ads the organization ran — criticizing candidates on the eve of an election — were really about issues, not campaigns. And twice a federal judge has found those judgments to be “contrary to law.” Yet there is no indication that the FEC will enforce registration and disclosure requirements in response. But unless there is enforcement, the NRA and other groups like it will continue to be their own sheriffs. Even if we take at face value the NRA’s blanket denials that there was any Russian money spent on its effort to support the Trump campaign, the fact that the American public knows so little about who funds campaign spending is a problem that the NRA has helped to create. For years, the NRA aggressively pushed for donor secrecy, fighting against any rules that require additional disclosure of the sources of campaign funds. That disclosure that was intended, in the words of the Supreme Court, to allow “the electorate to make informed decisions and give proper weight to different speakers and messages. It’s entirely unsurprising that the NRA would want to keep its donors under wraps. For instance, in 2010, the Senate came within one vote of passing the DISCLOSE Act, a bill that would have substantially expanded disclosure of the source of political advertisements and dark money organizations' donors. The NRA was viewed as such a powerful adversary that Congress tried to sideline the gun group by inserting a tailor-made exception into DISCLOSE that would apply only to the NRA.Then-House Republican leader John Boehner, R-Ohio, claimed to oppose the bill because of such exceptions, stating, “the NRA is all about protecting the Second Amendment, but apparently its leaders don’t care about protecting the First Amendment.” The DISCLOSE Act was defeated entirely — a loss for disclosure, and a victory for the NRA. Moreover, when the FEC considered closing loopholes that allow political activity on the internet with zero disclosure of its sources, the NRA opposed it. When the FEC considered tightening its rules preventing dark money groups from working directly with campaigns, the NRA opposed it. And when the FEC considered expanding donor disclosure for political organizations, the NRA opposed it. So it’s entirely unsurprising that the NRA would want to keep its donors under wraps. Fortunately, there are ready solutions to these problems. The DISCLOSE Act has made a comeback, with a new sponsor in Senator Sheldon Whitehouse (D-RI) and without a loophole for the NRA. Moreover, new efforts have arisen to take on the influence of foreign money and to require full disclosure of political dollars spent online, most notably with the recently-introduced Honest Ads Act, which has bipartisan sponsors in both the House and Senate. These solutions are overdue, but don’t expect to hear about them at this weekend's convention. The NRA’s ads say they “fight [the] violence of lies with the clenched fist of truth.” They should think about applying that tough-guy attitude about truth and disclosing the true source of their funds. Alex Tausanovitch is the associate director of Democracy and Government Reform at American Progress.